We've got some great presentations next week- First off, Robert Ramsay is going to talk about his role at Boss Level as the main Graphics Artist there, in charge of making sprites and level maps. Robert’s going to show us some character asset production and rigging, using Max, Zbrush and 3D Coat, and touch on a few other perks to using Zbrush in pre-visualisation projects. Next up, INK is an award winning digital production studio that joins forces with creative agencies, film studios and designers to deliver beautifully crafted digital images, films and advertising for leading international brands. 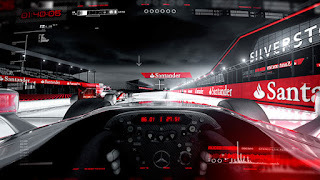 David, Kamen and James will present a variety of work starting with their CGI short for the London Grand Prix by Santander, running through the entire project from storyboard concepts, 3am photography in the streets of London and filming on set with Jenson Button and Lewis Hamilton. Then a look at their newly released Dogfighters series, an in-house project, which quite simply merges their love of dogs and planes! Remember, details posted at www.3dslondon.co.uk and on Twitter, follow @3dslondon.